I coach motivated individuals who want to take that next step in their lives -- to find the right career, finish projects, and move on in a balanced, happy way. My clients are people who want to focus on what's positive and what's possible for their education, their careers and their lives. Have you ever found yourself saying one or more of the following things? •	I’m too busy to focus on what I want because I’m too busy doing what I don’t want! •	I have trouble focusing because I’m too busy! •	I have trouble focusing, period! •	How can I follow my dreams? With coaching, the focus is entirely on you. You will have my undivided attention as we explore what matters to you and listen to the wisdom that emerges from you. My clients come away from coaching with more confidence, clearer goals, and a much happier experience in the worlds they have created for themselves. They often report that they’ve got their swagger back! I have a PhD in Higher Education from the University of Minnesota, a Master’s degree in English from New Mexico State University in Las Cruces, New Mexico, and a BA in English and Spanish from Weber State University in Ogden, Utah. I trained as a coach through the University of Texas at Dallas' Executive School of Management, and I am a Professional Certified Coach (PCC) through the International Coaching Federation. I have ADHD/ADD Coaching Training through MentorCoach. Finally, I have lots of experience in teaching, mentoring, and coaching. I’d love to share what has worked for me and help you as you pursue your dreams. Call me or email me for a complimentary 15-minute Strategy Session. Let’s get going! Have you worked with Debra? Tell your friends! After being laid-off by my previous employer, I was feeling down and wasn't sure which direction to go from there. Working as a data analyst, I enjoyed working with numbers and spreadsheets, but questioned whether I wanted to continue in this field. It had been awhile since actively looking for work and did not feel confident when I thought of jumping into interviews. Debra helped me to build confidence in my skills and my ability to communicate them efficiently, and through her coaching not only did my self-confidence improve, my communication skills also improved and this came across significantly during interviews. I saved a lot of time when searching for jobs - I was able to narrow my focus to the type of jobs that interested me most. Also, working with Debra specifically helped my self-confidence in many ways. I was able to think outside-the-box when it comes to the job world, and eliminate the negative thinking while focusing on the positive; this enabled me to better communicate with potential employers as well as family and friends. Debra gave me many helpful tips for making an amazing resume - I realized the importance of that first impression and people commented on how great my resume turned out. My state of mind improved to a great degree; I felt more confident when speaking about specific things that make me stand out in my experience and interest. This came across in the interview process as I didn't waste time or words; I had well-crafted answers for all types of surprise questions that inevitably come. In terms of thinking about my future, I feel much more in touch with following my passions and choosing the career that feels right to me. The coaching sessions were very easygoing and convenient, Debra worked around my schedule and was readily available in between sessions when I had questions, and when I wanted her to check out a recent copy of my resume. This made the next session much more productive as well. This was the first career coach/consultant that I had worked with. Going into it I didn't have any expectations, but I was very impressed with Debra's knowledge, mannerisms and ability to help me with such a wide variety of job skills. Debra is an easy-going person and our conversations were both productive and enjoyable. I really felt like I was talking to a friend - somebody who cared about me and wants the best outcome. She is patient, but also challenged me to dig deep and think hard about what I love to do, and what I want to achieve in life and my future career. She was able to alleviate many of my worries and anxieties (I tend to overthink things sometimes like many of us! ), and made me realize how my experience has shaped the way I am, and to be proud of who I have become and "own" my skills with pride and confidence. I am very grateful for being connected to Debra and would recommend her to anybody who wants to improve their situation and ultimately, live a better more fulfilling life. 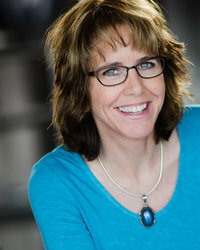 Debra helped me to get back on track after years of feeling stuck in my writing process. I wasn’t able to commit to my ideas because I had lost confidence in my ability to know the right direction to take. Debra immediately assured me that I was going to finish. And from our first conversation, she helped me change my mindset from “if” I was going to finish my dissertation to “how” I was going to do it. Debra provided a weekly audience for my talking about my progress without the pressure of looking good in front of my advisor in school. Much of what Debra taught me were simple life hacks, or words of wisdom, that helped me to re-prioritize my intellectual life amidst a hectic family schedule. The fact that I had someone to hold me accountable for how well I stuck to my goals during the week was motivating. She even helped me to find the good in what I was accomplishing during those times when I felt unsuccessful. I would highly recommend her coaching sessions to anyone, like myself, who needs a reminder to believe in themselves again. I worked with Debra in both individual and group coaching settings. When we first began, I opted for individual coaching. My presenting problem at that time was scheduling time to write but in actuality it became clear through my coaching with Debra that I was not allowing time to write at all. She helped me to step outside myself and see what my deeper needs were. The conflict was not in my schedule but within myself and my need to take care of everyone else except myself. As a result of her coaching I have become more aware of my tendency to overwork. She has helped me internalize the truth that that working harder is not necessarily smarter and in the long run I achieve less of my goals if I am continuously working. Debra brings a variety of skills to the table. Although she never stated her exact methods, with me, she seemed to have brought in meditative practice, emotional intelligence, ways of knowing, and feminist theory as well as traditional coaching techniques that helped me to grow and become more aware of some of the things I was doing to stop my progress. During one of our sessions, Debra reminded me of a lesson from Dan Millman’s The Way of the Peaceful Warrior. She told me that life gives us lessons, and if we don’t heed them or learn them, they become harder until we learn them. This moment proved to be very significant to me and I took this to be the case when I became ill last year. I made sure my illness didn’t go any further if I could help it. Debra’s words and our sessions together made me face the facts of what the doctors were telling me and quit trying to take on too much because overworking to the point of perpetual exhaustion was doing me harm. In this case, I chose the easy lesson! I also worked with Debra in Group Coaching. I liked that Debra allowed us to pause and wait for answers in our work. I was actually pleasantly surprised at the group work. As a counselor, while not a coach, I know the difficulties of facilitating a group process but she did this with great skill and guided us in our individual work as well as allowed the group to organically move into deeper work together. In addition, she helped us to maintain our focus and made sure we came back together to clarify and restate our work, which was helpful not only for us an individuals but to learn from each other. Debra has an ability to speak honestly and graciously, and she is not afraid to reflect what she sees. She confronted me with my own narrative and helped me reframe my negative, self-deprecating statements and to reframe them into grace-filled affirmations that held potential for growth. I am very thankful for the time we spent together. Before I joined the dissertation coaching group, I was dealing with a lot of fear and procrastination issues on top of trying to manage my first year as a professor. I was scared of my data and what it would or would not find. I was avoiding my chair because I was embarrassed that I wasn’t as far along as I thought I should be and didn’t seem to be making any progress. And I was over-preparing for class as a way to avoid working on my dissertation. Over the course of many sessions, Debra and I talked about those issues and why it was important to reach out to my advisor and work towards convincing myself that the conversation wouldn’t be nearly as bad as I imagined. Once I finally broke the initial fear barrier, I finished my dissertation in record time. My original plan was to finish my last two chapters in five months but due to scheduling conflicts my deadline what shifted two months earlier. This caused Debra and me to work out a plan to accomplish this seemingly impossible goal. Although it was extremely stressful and I was short on time, it worked. Defending my dissertation did wonders for my sanity and allowed me to have time to relax and enjoy my summer. My anxiety level decreased substantially after the defense. I recommend working with Debra, as she is easy to talk to and has an uncanny way of asking the right questions to (1) get you to open up about things (particularly things you didn’t even know were bothering you) and (2) get you to the point where you think you are actually the one who came up with the solution. She advocates setting weekly goals and follows up to keep you accountable. If the writing club alone isn’t quite getting you to where you want to be, I highly recommend letting Debra give you that jumpstart or help push you through to the end. Debra was an outstanding student mentor during my Bachelor's program. During the course of my degree program, I faced quite a few major obstacles, including major health issues, a move nearly across country, and various other things that made me nearly give up on my degree. However, Deb was always a phone call away. She was a great motivator, and helped me keep track of what I wanted and needed to succeed. I can 100% honestly say that, without having Deb with me every step of the way, I don't think I would have finished my Bachelor's Degree. Aside from the mental and moral support, Debra was also very good about recommending other resources for different needs that arose. Deb was always great in working with my schedule, and was always on time for our calls. I give Deb a 100% positive recommendation, and wish that I could take her with me to my Master's Degree program! Thank you so much Deb! My major challenge in my last year of writing my dissertation was that I was just simply overwhelmed. I tried to reserve one day to write per week (and do "work" the other days), and inevitably I was unable to get as much done that day as I wanted or needed, so I kept disappointing myself. Debra helped me build a habit of writing at least 30 minutes everyday and holding myself accountable. Small goals everyday works. Debra helped by checking-in and helping me break down the big tasks into smaller daily objectives - that build into weekly objectives, monthly, etc. I would highly recommend Debra to anyone wanting or needing a coach. As an academic, I had different problems and decided to tackle them one by one with Debra. One of the problems was a review of a journal paper. The critique of the anonymous peer reviewers was particularly harsh and I could not even bring myself to read them properly, let alone to focus on the answers. Debra helped me to formulate answers to the reviewers and to be able to come over my fear of writing and of confronting myself with possible shortcomings. With Debra's help, I worked on the article and it is now published. Publications are still not the easiest part of my job, but I feel like I can move on from here. Talking to Debra always made me find back my optimism and filled me with energy, so that I could go on with my work without being discouraged. I would surely recommend Debra's coaching to colleagues or friends, as it can be able to give you the encouragement and insights you need to come over difficult periods in your professional life. Working full time and being the sole support for a family of six, I was having difficulty remaining motivated to stay on a schedule that would allow me to complete my dissertation on time. Debra helped give both a professional and a supportive ear that helped keep me on track. Working with Debra allowed me to have a seasoned academic in my corner that helped pushed me to prioritize my work, meet deadlines, and encouraged me to continue when I sometimes lost focus and overwhelmed. Debra was there in ways that provided assistance that my academic advisor was not able fulfill. Her assistance has help me get my graduate degree and advance to my new position dealing in a more direct role with senior management. Debra’s assistance has helped me maintain functionality in my family life as I had clear outlines of tasks that I had to complete. I am now using the same strategies in developing my certification preparations. Debra’s willingness to help you succeed by being available by various communication mediums distinguishes her brand. The coaching that Debra offers is supportive and will help you accomplish your goals. Her strategy is beyond just encouraging words; she helps map out objectives and helps separate the critical tasks from the important. Debra’s skill and education allows her to assist in how to approach many difficult subjects. Debra made an effort to consult with me even though we are in different time zones. She was very approachable and allowed me to clear my thoughts. As a scholar I would definitely recommend Debra without reservation when it comes to using her services in your academic pursuits. I had just left a job, a relationship, and an apartment, I was very uncertain about how and where I wanted to channel my efforts. Lacking confidence and vision, I felt overwhelmed and needed some guidance. I had some ideas about jobs I was interested in pursuing, but I didn’t know which pursuits made the most sense or how to approach them. I began calling career counselors and started to get a sense of what I was looking for - someone with whom I could have a simple conversation with over the phone. I continued calling coaches until I spoke with Debra; immediately she seemed to understand me, and what stood out even more was the fact that she listened to me. I chose to go with her, and I’m extremely glad that I did. In the first session she explained that I would have “homework” in between sessions, that I would get out of our sessions not only what I put into them but what I invested in time and effort in between them, and that the most she could be for me was a sounding board for ideas. Over the course of four sessions I came up with a list of strengths, jobs I didn’t want to pursue, and ideal jobs if money, time, and logistics weren’t factored in. These lists served as a good starting point, and in between sessions I would pursue job leads, fill out applications, and work on creative projects for much needed fulfillment. I began to narrow in on what I wanted in the near future, and pursued a job that would require skills from my previous job. I ended up getting that job, and due to Debra’s guidance and encouragement, I’ve also been pursuing a personal project on the side that I wouldn’t have had the confidence or vision to otherwise. Debra validated, advised, listened, questioned, and challenged me over the course of four sessions, until I had built up confidence again from my full-time job and my personal projects. She became more than a career coach; I just thought of her as a friend I was calling for guidance, and if I had not chosen to speak with her it would have taken me much longer to find a path forward. "Before I started working with Dr. Deb Payne, I was stuck at a crossroads trying to decide what new life path to take. A number of options had emerged but I could not decide on which path to embark. Deb helped me discover that the power to become “unstuck” was within me and provided numerous strategies and insights that helped me start my new journey. She encouraged me to challenge my anxieties and fears and helped me realize new ways to approach difficult situations. Deb is incredibly insightful, optimistic, friendly, and passionate about helping her clients. After each session, I am energized, motivated, and excited to work on the next step of my new life plan. Thank you, Deb, for being such an amazing life coach! I could not have changed my life without you!" When you define yourself, you confine yourself. Here's how to let go of who you think you are in order to create room for lasting change.